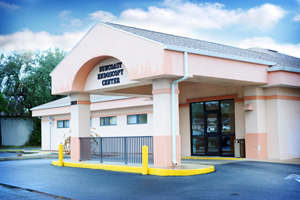 The Endoscopy Center is located at 3621 E Forest Drive in Inverness next to our Main Office. Patients that have a scheduled procedure with our Endoscopy Center are asked to please arrive before their scheduled time. We suggest that patients wear comfortable clothes. Because we are not responsible for the loss of valuables such as jewelry, credit cards, etc, we ask that you leave these items at home. It is important to bring all of your current medications, or a list of your medications and dosages, with you. You cannot eat or drink anything after midnight the night before your procedure. You can take a small sip of water if you must take blood pressure or heart medication. If you have questions about taking any other medication, please call 344-8080 and ask for the pre-admission nurse. Patients will be given a sedative for the procedure and cannot drive or operate machinery for the first 24 hours after the procedure. A driver must accompany the patient when checking in for the procedure and cannot leave until the patient is discharged. Your physician will see you and the designated individual that accompanied you to discuss the results of your procedure and discharge instructions. It is very important that you closely follow your discharge instructions during your recovery. If you experience any unexpected problems after discharge, please call your Physician at 344-8080. If you feel it is an emergency, please go the nearest emergency room or dial 911 immediately. Citrus Gastroenterology, PA accepts most major insurance plans. Please call our Main (Inverness) office at 352.344.8080 for more details or to schedule an appointment. We look forward to helping you live a happier, healthier life.